On cold and cloudy days this time of year in the Midwest, it can be tough to be thankful for the weather. Sometimes we get pretty white snow, but sometimes we get freezing rain and blistering winds. No matter your opinion of snow or cold or winter altogether, I would venture to say that we would rather be caught in a blizzard than have to face a hurricane. We see them on the news or know a friend or relative that has been through one, but we are not intimately familiar with them the way Haitians unfortunately are. Haiti has faced natural disaster after natural disaster, making it difficult for the country to stay on its feet, let alone thrive. Haiti has been hit by 10 hurricanes since 1998, all of which have left the country in a constant state of rebuilding. 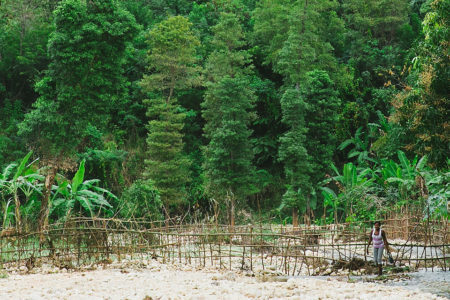 Torrential rains in May of 2004 killed 2,400 people. Hurricanes Ivan and Jeanne hit just a few months later, killing 3,000 people, injuring thousands, and displacing more than 300,000 from their homes. After restoration efforts of several years, August through September of 2008 brought another string of natural disasters—Fey, Gustav, Hanna, and Ike. Combined, about 800 people were killed, and the storms left around $8 billion in property damage in addition to the extensive crop damage throughout the nation (uFondwa, 2018). Two more years of recovering before a new tragedy: the January 2010 earthquakes. One of the worst natural disasters to hit Haiti in generations, the earthquakes killed 300,000 people and damaged 30,000 commercial buildings to the point of needing completely demolished and reconstructed. To further the crisis, a cholera outbreak occurred just months later, displacement from the earthquake damage caused over a million homeless to migrate to Port-au-Prince, and Hurricane Tomas swept through to destroy the rubble. The last major hurricane to hit Haiti was Hurricane Matthew in October of 2016. The category four storm killed 600 and displaced tens of thousands. It also caused $1.9 billion in damage, imaginably to the structures that has been rebuilt just years before (uFondwa, 2018). I’m sure by now you realize that suffering underlies the story of Haiti—deeper suffering than cold fingers from scraping ice off the windshield in the morning. Breath of Life Haiti may not be able to stop a hurricane, but we can offer hope. When Jesus and the disciples were out at sea and a storm came up with waves nearly engulfing the boat, Jesus offered hope. “He got up, rebuked the wind and said to the waves, ‘Quiet! Be still!’ Then the wind died down and it was completely calm” (Mark 4:39, NIV). I can’t say I know for sure, but I would guess that the disciples believed more as a result of Jesus meeting them in their storm and bringing his peace. We are blessed with the opportunity to be Jesus to Haiti. We can bring hope where hope is hard to find and calm the storm in countless hurting hearts. All it takes is the faith to step into the storm and let God work.